Whenever you think of a hotel or a resort, everything that comes in your mind is to find a wonderful place that will make you comfortable and fulfill your desires.Having fun in a hotel means spending humble time as you enjoy new things and beautiful services.However, sometimes you may find it difficult to get a hotel that will fully fulfill your desires. If you are looking for a resort of your liking then do not be worried. 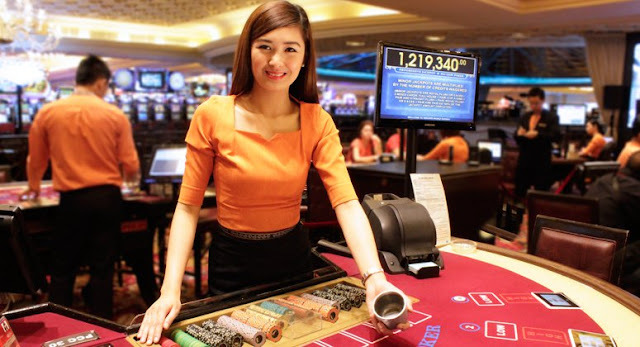 Resorts World Manila is a resort that will help you meet your desires. Not only will get what you desire but also have more extras that you may not imagine of. This resort is located in Newport City, Metro Manila Philippines. It is just opposite Ninoy Acquino International Airport. In addition to this, the resort is owned by one of the most trusted organizations-Travelers International Hotel Group (TIHGI), which is a joint organization between Genting Group and Alliance Global Group. Resorts World Manila is also strategically located. It is also widely connected to good and accessible roads of Manila. It has been in place for a long serving people from different parts of the world. This assures you of quality services. This is the part that will leave you surprised. This resort is more than anything you can imagine of. It is way beyond its name. Here are some of the most incredible features of Resorts World Manila that will leave you surprised and wishing to be there. Like the name suggests is a whole new world. It has a land-based casino. This hotel casino is based in 3 floors with slot machines, featuring table and electronic table games. It has one of the biggest facility for meetings, incentives, conferences and exhibitions (MICE).That is the Marriott Grand Ballroom. For example, in a banquet event facility can accommodate up to 2,500 people. If you want to shop then you have to do it inside the resort. You will find the Newport Mall within the resort. It has food stalls, 4 cinemas, 53 shops and 29 restaurants. It also houses 4 major hotels. That is Belmont, Maxims, Marriott and Remington hotels. It is a whole full experience for a family. Also has a theater for arts performance with enough space for musicals, concerts and conferences. The resort has some of the best affordable rates. However, these rates vary with the hotel, the rooms and services. They have from 1 room and more you can occupy with your children. The rooms are also of different levels starting from standard ones. Hotel accommodation from $300 for standard rooms. There is online booking which is accompanied by a discount. You can contact the resort through different channels to place your booking. You can also book online.